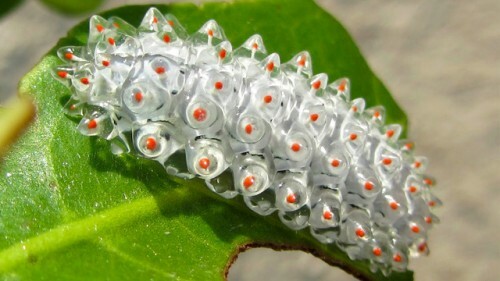 Interestingly, the little caterpillar turns into a funny looking moth, which we included a picture of after the break. By David Ponce on 02/29/12 • Leave a comment! We like to step away from digital consumer electronics now and then because frankly, some things are just too awesome to pass up. Plus, geeks in general have an insatiable appetite for wonderment, so the following video should fascinate. There’s an area in China’s Hunan province called Zhangjiajie National Forest Park that features enormous quartz-sandstone pillars that look exactly like those in the movie Avatar. And for good reason as the park’s officials say that it was these very formations that served as artistic inspiration for the scenery in the movie; indeed one of the park’s larger pillars was renamed “Avatar Hallelujah Mountain” by local officials. 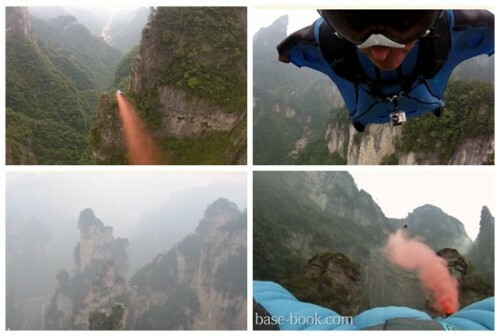 So it’s in this fabulous setting that some base jumpers decided to ply their trade, seemingly under the sponsorship of extreme sport enthusiast company Red Bull. Watch the below video. It’s really incredible. We may not go to the moon, or even Mars, for quite some time. But there are still things we can do on this little planet that can almost compare. How Do These Dutch Bar Patrons Sit With Such Huge Balls Between Their Legs? So the video above shows a fun incident that happened at the T Halve Maatje pub in Rotterdam, The Netherlands. And no, it’s not gadget related. And no, it doesn’t matter because it’s just cool. So this man walks in and starts waving a gun around, asking for money. At which point… no one gives a f**k. The bartender just looks at him and tells him to beat it. A patron even walks just past the would-be thief to get a seat at the bar, even as the guy is still trying to hold the place up. Finally, dejected, he leaves… at which point the entire bar exits to go run after him! And sure enough, after a little over a mile they catch him and call the cops. 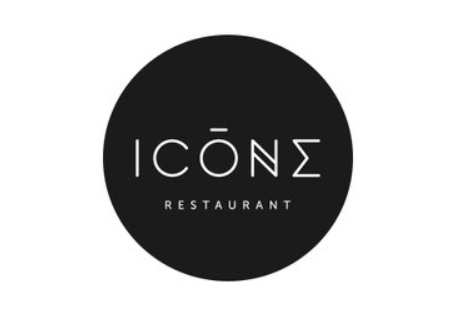 If ever there was a fail, this would be it. Also, never mess with a Dutchman in a bar, we imagine is another takeaway. There are no gadgets here, but it’s an interesting story nonetheless. So it turns out one Dante Autullo from Orland Park, IL, was working in his garage one day when he lost his grip on his nail gun. It swung at him and bumped the side of his head. Dante examined the damage: a minor scratch. He even texted his wife a picture of the so-called scratch, so nonchalant was he about the incident. He popped a couple of Advils and went on his merry day. He drove his plow truck for 8 hours, took his kids to a play rehearsal and even took a nap before he finally figured something was wrong; at that point he had a headache and nausea. It was only once he got to the hospital that everything became clear. 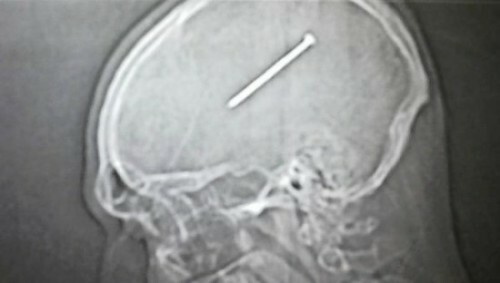 The X-Rays (which Dante at first thought were a joke) showed the 3.5 inch nail firmly inside his brain. The flat part of the nail was resting right atop his skull, beneath the skin (which was why it looked like just a scratch), “as if it had been driven into a two-by-four.” He had to undergo surgery to remove the nail and as luck would have it, very little tissue damage occurred. Mr. Autullo is expected to be able to leave the hospital after spending a day with a nail in his brain with absolutely no loss of function at all. For the record, do not try this at home. Nope. 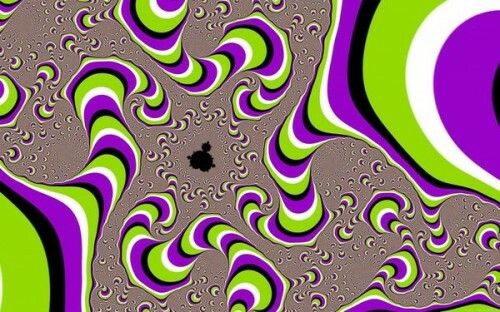 This isn’t a GIF. And we’re posting it because, hey, why not? By David Ponce on 08/25/09 • Leave a comment! Not that this really relates to anything, but it’s geeky enough to mention. Mathematics Professors Christopher Danforth and Peter Dodds, of Vermont University, analyzed 2.4 million Tweets, looking for words that connote both happiness (think “rainbows (really), free and fun”) or gloom (think “cruel, hatred and suffocate”) and concluded that the worst day of the week seems to be a Wednesday. By Evan Ackerman on 11/07/08 • Leave a comment! This January, the Sci Fi Channel will be auctioning off thousands (thousands!) set pieces, props, and costumes from Battlestar Galactica. A two-day live auction will be held in Pasadena on January 17 and 18, and on January 20 about 200 items will be put on eBay. After that, as each episode airs more items from those episodes will show up on eBay. You made history last night, and today you have your first African American president. Congratulations! You should be proud of yourselves. God knows the rest of the world is, nowhere more than up here in Canada, your frostbitten neighbor.